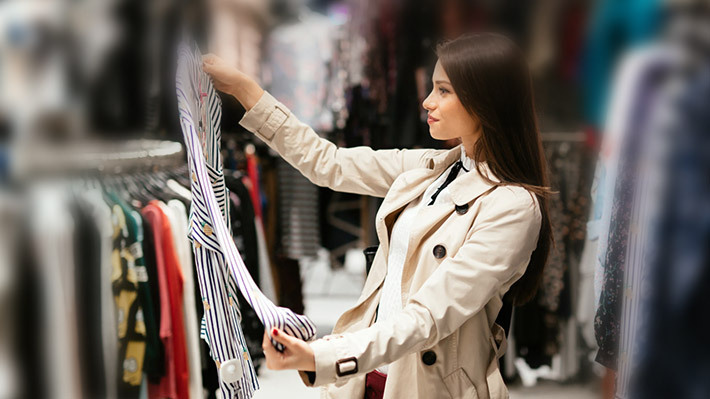 Yes, your shopping style reveals a lot about you. How do you react to tempting ads, or displays? Do you wait for the sale season to get the beautiful pair of shoes you’ve craved for a while now, or you buy it as soon as it is out in the market (because it’ll be out of fashion by the time sale season arrives)? What does your wardrobe look like – is it the capsule-style with all essentials, or is it an elaborate walk-in with dresses, shoes and bags for every mood? All of these emotions reveal a pattern of conduct that says a lot about you, even how you conduct in life. Find out which of these shopping personality types best describes you. As the name suggests, this category belongs to the sensible shopper. This shopper shops only when there is a need, would usually compare prices but would not necessarily compromise on quality because of price. These people know what they want and are usually not distracted by ‘sales’ and ‘deals’. The major motivation for this shopper is ‘the need’, and having fulfilled the need in the best possible way. The name might be a little exaggerated, but these shoppers are mostly out looking for the right opportunity, the cheapest deal available, and they would jump right on it. These shoppers are not particularly looking for something specific, they would buy anything that has a good deal or sale on it. They would mostly have a whole gamut of tips and tricks up their sleeves which can save you a buck or two, from coupons to loyalty points to freebies, they know it all. The big motivation for them is saving money. Most often or not, you’d be surprised to see how they actually end up wasting money by buying a whole lot of extra things they do not need. But at the time of desperate need, they would most like emerge as the savior, giving you just what you wanted. The delighted shoppers shop for the love of shopping. They wouldn’t go in debt to satisfy their love of shopping, but wouldn’t be as tightfisted as the practical shopper. They are generally not impulsive shoppers, they plan, look for options, but would not leave out a thing they really like because they don’t really ‘need’ it then. They can keep looking for the product they love, till they find it. It can get very exhausting sometimes, if you are going shopping with them; online research can take days together. These are generally people with good taste, you can see it in their homes, wardrobes etc., everything will have a distinct touch of class. A perpetual shopper can also be called a shopaholic. Shopping helps them release Endorphins and Serotonin (happy hormones) relieving them of their anxiety. They tend to indulge in repetitive shopping binges. Just like an addict, they end up buying when they don’t mean to, are often ashamed of their purchases, and tend to hide them. Tempting advertising, fancy displays can make them anxious, even depress or overwhelm them. This compulsion of shopping can often cause disturbances in their personal and professional lives. If you know someone who fits in the category, or identify with the symptoms yourself, get help. The obsessive shopper is like the perpetual shopper, only at a higher degree. They can get into depression or even manic. They are prone to going to extremes when the mania strikes, like breaking the law, or harming themselves. They cannot be controlled with willpower alone, they need therapy, or maybe rehab, depending on the severity of their psychotic condition.